Even aside from being dubbed as “Kids Day” at T-Mobile, the 3 PM start, and the home team wearing white jerseys, Friday’s game had a lot going on. So, when the game ended, we at SinBin.vegas split up to cover all three major stories at the same time. Jason went to the visitor’s locker room to track down James Neal, Steve spent the day focused on Daniel Carr and chatted with him after the game, and I drew the Schmidty straw. Here are all three stories wrapped up into one post. Ever been in one of those circus mirror rooms where everywhere you turn you see a slightly different version of yourself? Creepy, right? Now, imagine you do the same thing, but the room doesn’t have mirrors and instead, they are real people, over 10,000 of them. 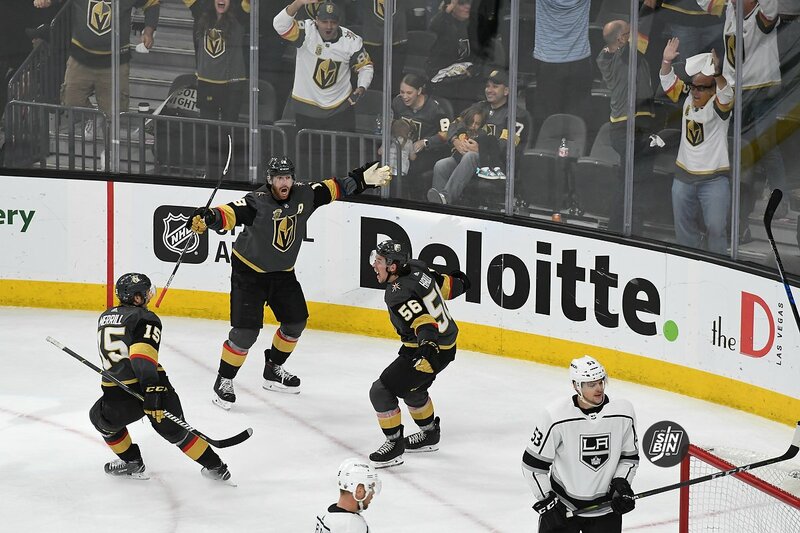 But as much as Schmidt’s return was celebrated by those in the stands, it was his teammates and his coach who have the deepest appreciation for what he brings back to the Golden Knights. Nate seemed to really enjoy his time on the ice as well. You might say, he had fun. So did the rest of the Golden Knights when they saw the 10,000+ Schmidt faces in the crowd. Last year the Golden Knights second line was Erik Haula, David Perron, and James Neal. They netted 70 goals and put up 165 points, excellent offensive production for a second line. However, they posted a -26 rating despite taking just 26.3% (including neutral zone draws) of their faceoffs in the defensive zone. We can’t find the exact stat showing Haula, Perron, and Neal but if McPhee uses the phrase “dead last” he’s got to be confident in the numbers. We could find this stat, however. Those numbers are calculated based on the total time when all three players were on the ice together at even strength. As you can see, the Haula, Perron, Neal line was horrendous defensively, especially when compared to the Golden Knights first and “fourth” lines. Since George McPhee’s “not everyone will be back” quote there’s been a growing fear that the Golden Knights roster won’t be as strong in Year 2 as it was in the magical Year 1. McPhee noted there are always three or four changes which has the speculation on James Neal, David Perron, Luca Sbisa, and Ryan Reaves running wild. 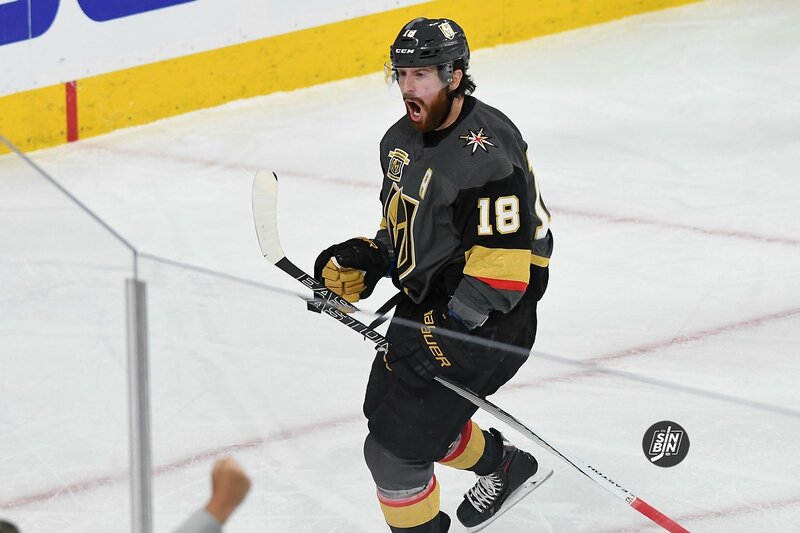 Sportsnet reported earlier this season that James Neal was looking for a long-term deal commanding upwards of $7M per season. It’s hard to believe the organization would give a massive contract to a player over the age of 30, but would they on a player who’s 29? Neal has 62 more career goals and is one year and 243 days older than van Riemsdyk. Both wingers have comparable career statistics, and the age difference isn’t wide. The Golden Knights know what they’re getting with Neal; 20+ goals, second-line minutes, plays with edge. It’s an unknown if van Riemsdyk can repeat his success in Vegas. I could see Neal being offered a high-cost, short-term contract, but the question remains if we would be willing to sign it. It’s likely his last chance at a long-term deal. One thing is for sure, if the Golden Knights offer JVR a contract, it’s a sign they’re content moving on from Neal. David Perron is a player many fans fell in love with. His silky hands, his beautiful passing, his pestering ways, how can you not love him? With Perron, the feeling is mutual. He loves it in Vegas, he loves his teammates, and he’d love to stay here. Or at least so he says to Vegas media. 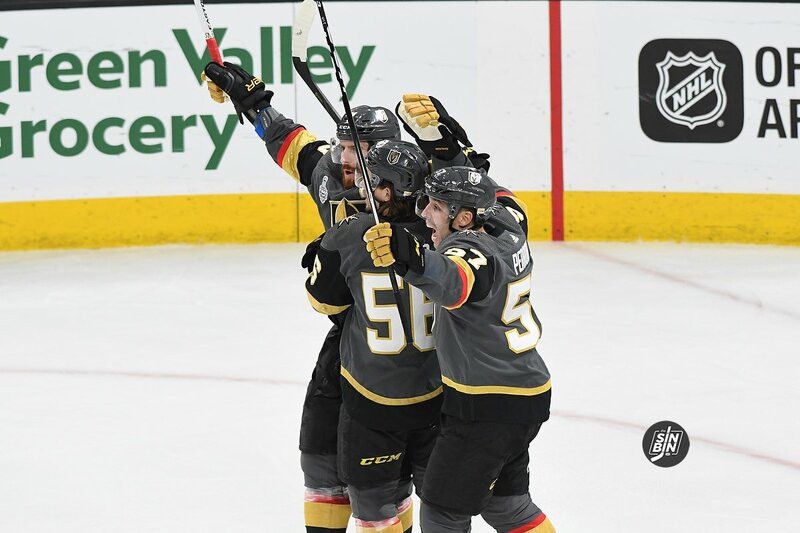 The Golden Knights were close to the ultimate goal, but in the end, they fell three wins short. So, they now head to the offseason with a plan in mind, make the team three wins better than they were a year ago. There are plenty of decisions to be made with the roster as currently constructed and oodles of cap space available to bring in outside help. The Golden Knights have four major unrestricted free agents (UFA’s) which are set to hit the open market on July 1st. They are James Neal, David Perron, Ryan Reaves, and Luca Sbisa. Also, Maxime Lagace, Jason Garrison, Brandon Pirri, Mikhail Grabovski, Clayton Stoner, Chris Casto, and Paul Thompson will become UFA’s in 20 days. Then there are the restricted free agents (RFA’s) of which the Golden Knights have plenty. The most notable is William Karlsson. In short, Karlsson is not going anywhere. Unless something unprecedented happens, he’ll absolutely remain the first line center for Vegas next season. However, the projections on his contract are all over the map. Technically, the Golden Knights only have to extend a “qualifying offer” to Karlsson of $1 million. This will happen soon and then Karlsson and his agent will request arbitration. An arbitration date will be set sometime in late July to early August. That will basically be the deadline for the Golden Knights and Karlsson to reach a long-term extension. Tomas Nosek, Colin Miller, Oscar Dansk, Teemu Pulkkinen, Stefan Matteau, and Philip Holm are also all arbitration eligible and would follow the same process. Finally, there are the two younger players who are RFA’s in Shea Theodore and William Carrier. Due to their age, neither are arbitration eligible. Thus, the Golden Knights can simply extend them a qualifying offer (Theodore -$874,125, Carrier – $787,500) and the player will have to sign it and remain with the team through next season. However, especially with a player like Theodore, this offseason may be a good time to lock him up long-term before he gets arbitration rights and has more negotiating power. The two sides can come to an agreement on a long-term deal at any time. That brings us to the magical world of unrestricted free agency which opens on July 1st. Names like John Tavares, James van Riemsdyk, and John Carlson will be thrown around with basically every team that has cap space. The Golden Knights have plenty of cap space so get used to seeing the big names linked to Vegas, but the Golden Knights also have a GM that’s historically not a big spender in free agency. Before the series on the SinBin.vegas Podcast I harped on the importance of the 2nd line in the Western Conference Finals against Winnipeg. Then after Game 1 I followed up with another article claiming they had to be better in order to Vegas to win the series. Well, apparently it wasn’t just me thinking it. In fact, all three players mentioned during their press availability before Game 3 that they needed to play better. 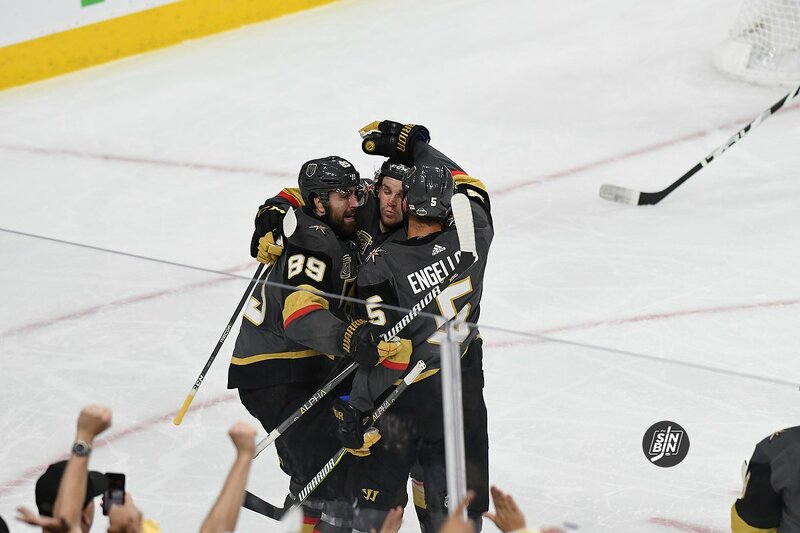 Game 3 happened, they did, and to no surprise, the Golden Knights got the result they were looking for. James Neal was on the ice for all three Golden Knights goals, and Erik Haula and Tuch were out there for the second and third. They did not allow a goal while on the ice and the line as a whole put up by far the best advanced stat numbers of the game for Vegas. The Vegas 2nd line now has the advantage in every major statistical category on the line of Paul Stastny, Patrik Laine, and Nikolaj Ehlers including the most important one, goals scored. However, the Golden Knights’ 2nd line center still isn’t satisfied. Haula admitted his line played better, but he appears well aware how crucial they are to the outcome in the series. If the 2nd line gets on the board a couple more times in Game 4, the Golden Knights will probably be heading north of the border looking to claim the Campbell Bowl. 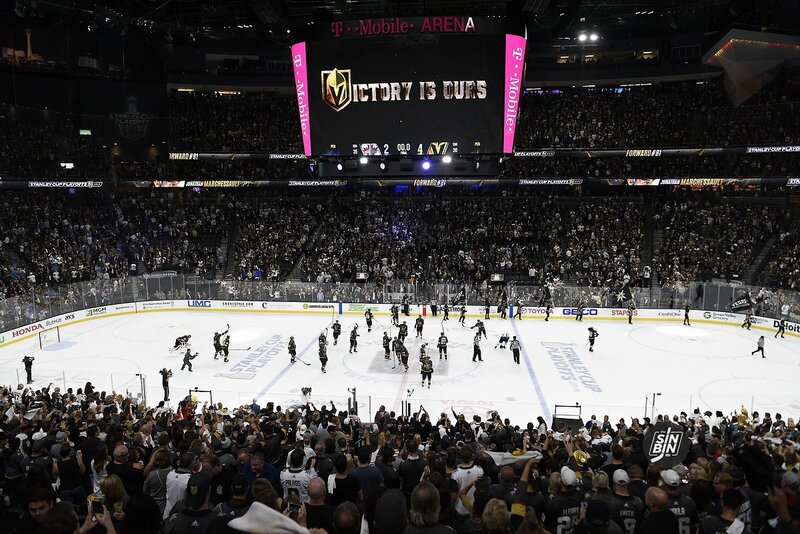 It’s time to step back from last night’s thrilling victory and take a minute to applaud the Golden Knights medical staff and the NHL. 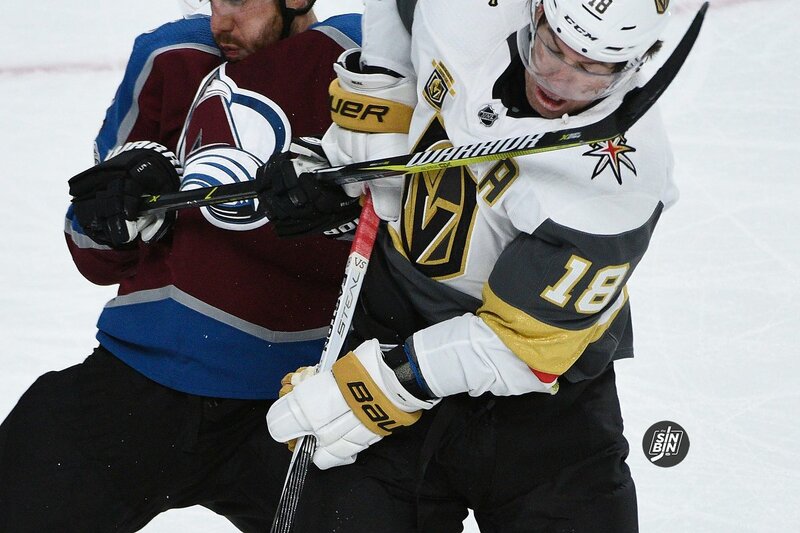 In the first period of Game 3, James Neal took an elbow to the head from the guy they call Big Buff. After the collision, Neal took time returning to his skates and eventually to the bench. This began the initial protocol. 2. Sign: “Lying Motionless on the Ice”: A Player lies motionless on the ice or falls to the ice in an unprotected manner (i.e., without stretching out his hands or arms to lessen or minimize his fall). 3. Sign: “Motor Incoordination/Balance Problems”: A Player staggers, struggles to get up or skate properly, appears to lose his balance, trips or falls, or stumbles while getting up, trying to get up, or skating. 4. Sign: “Blank or Vacant Look”: A Player has a blank or vacant look. Golden Knights trainers immediately spoke with Neal on the bench, but he had his head down and was shaken up. It was concerning enough for team medical staff and league spotters.